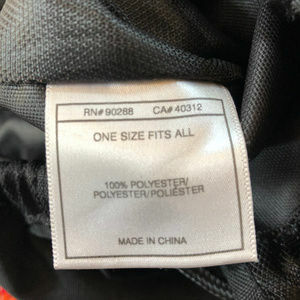 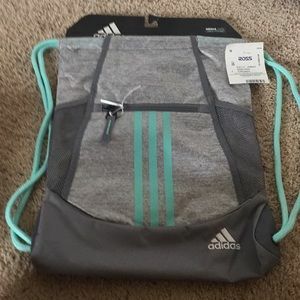 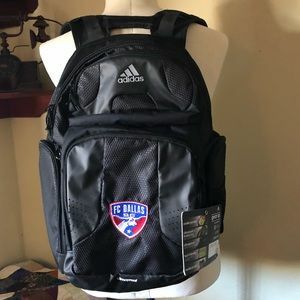 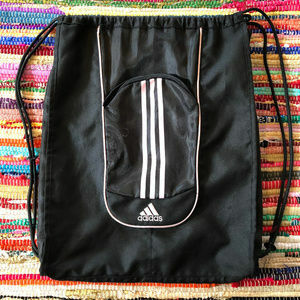 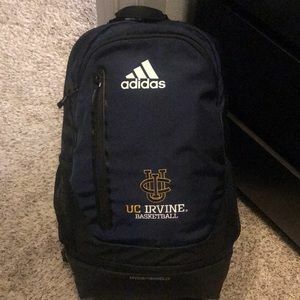 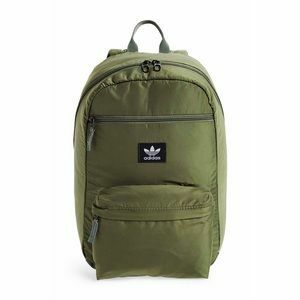 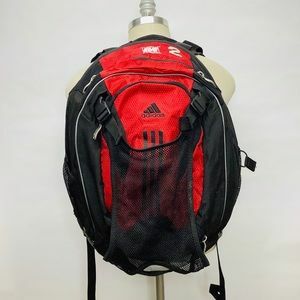 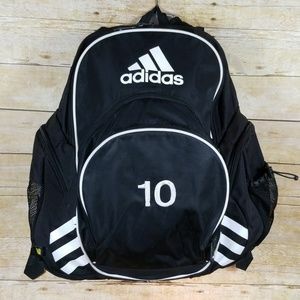 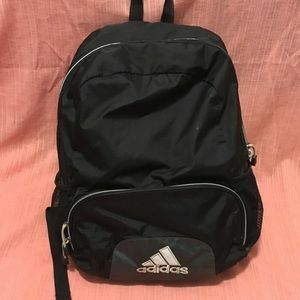 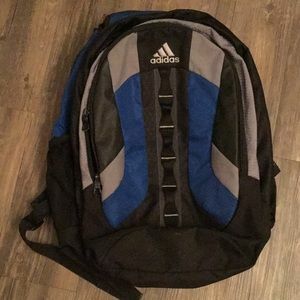 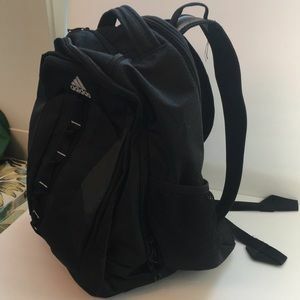 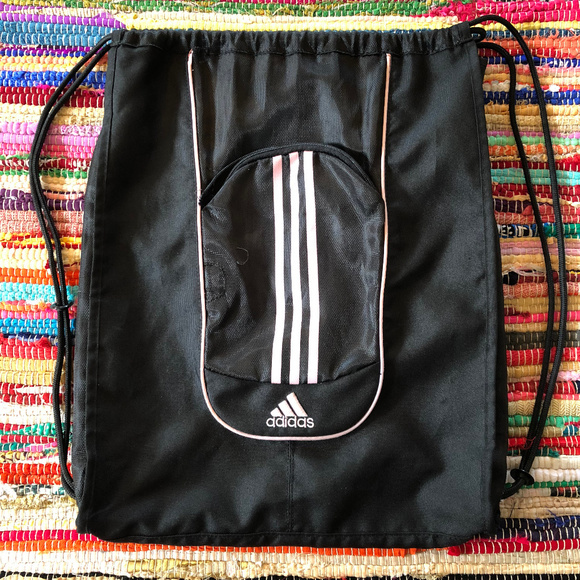 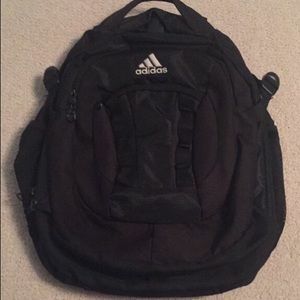 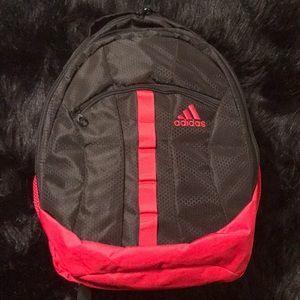 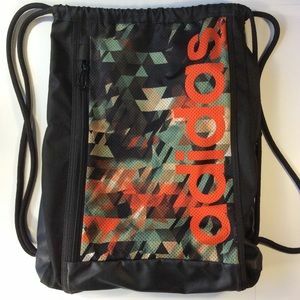 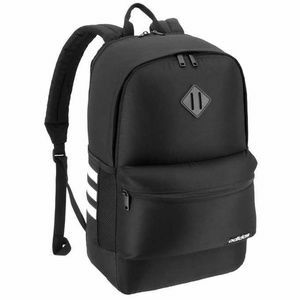 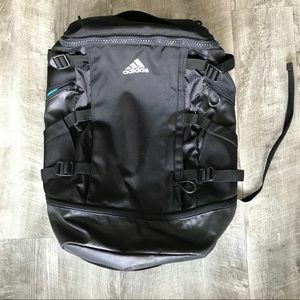 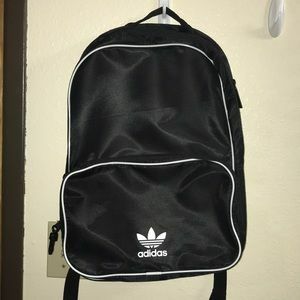 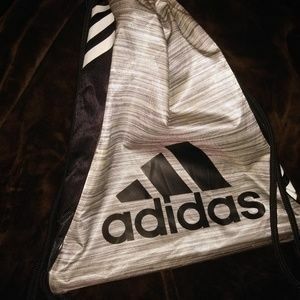 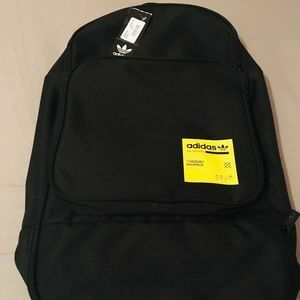 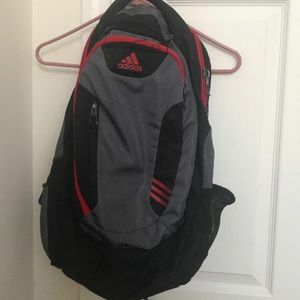 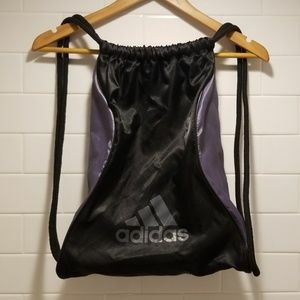 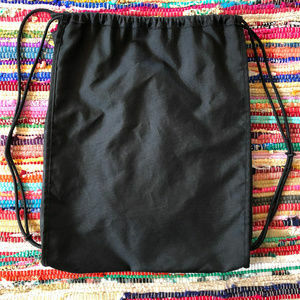 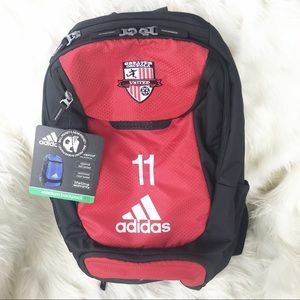 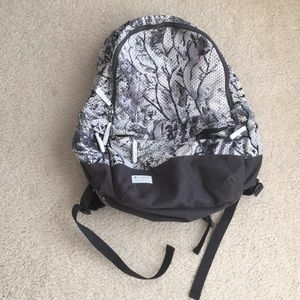 Adidas Pull String Backpack Bag Perfect for sports equipment, balls, cleats or sneakers. 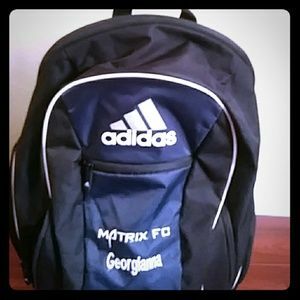 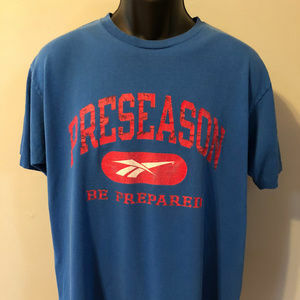 Gym, cross fit, baseball, basketball, football, tennis, soccer, golf. 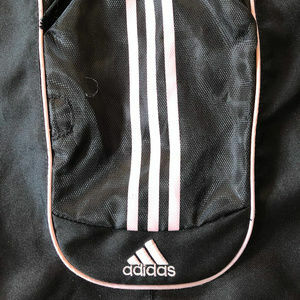 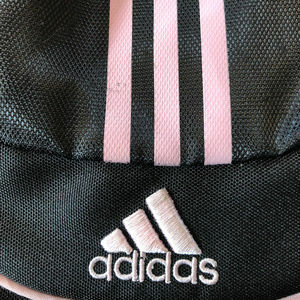 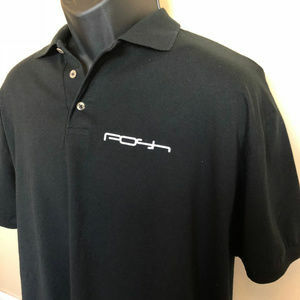 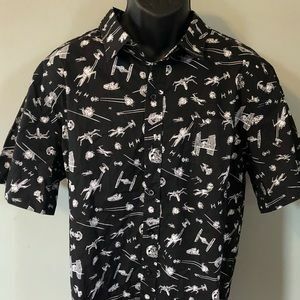 14 inches wide 18 inches high Color: Black with light pink stripes Condition: The outside zipper is missing the zipper.